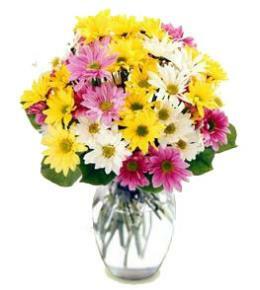 Daisies are an enchanting flower. 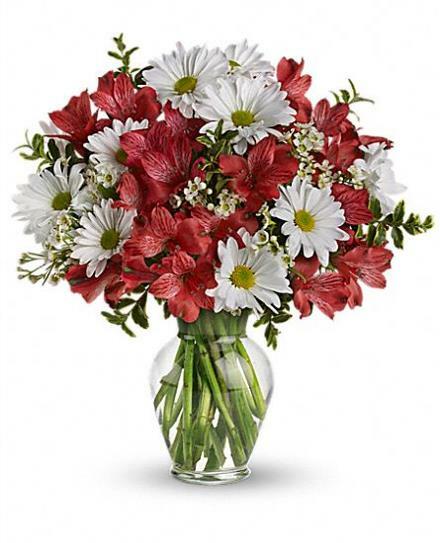 Add a flurry of lush red alstroemeria and you have a gift of pure joy. 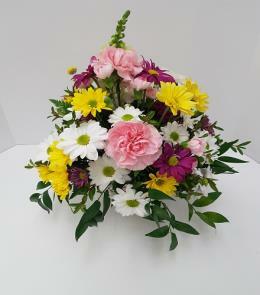 So much beauty for such a reasonable price, it's the perfect choice for any happy occasion. 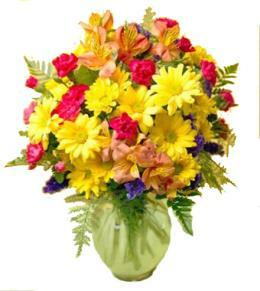 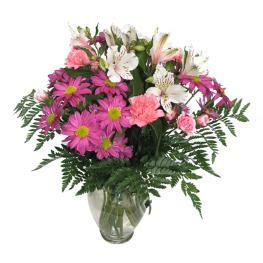 Value priced flower arrangement below $60.00 - Dancing in Daisies. 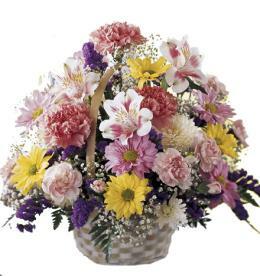 Arrangement Details: This delightful bouquet includes alstroemeria and white daisy spray chrysanthemums accented with assorted greenery. 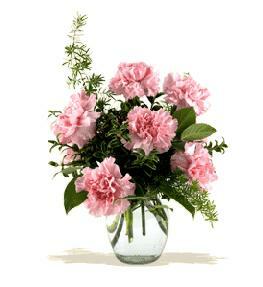 Delivered in a classic glass vase.